For Tyres & Exhausts in York call us today at Tech Tyres Ltd! Tech Tyres Ltd has some of the cheapest tyres and exhausts around York, with many top brands available no matter what size you may require. 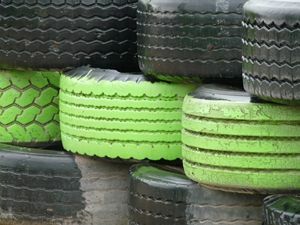 We offer a comprehensive repairs service, but we have a large range of stock if your tyre needs replacing. Brands include: Budget, Kumho, Firestone, Pirelli, Bridgestone, Uniroyal and, Continental. 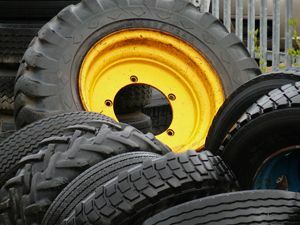 We have 6 tyre fitting bays in our depot at Osbaldwick in York, and we have 3 mobile fitting vehicles, all complete with tyre fitting machines and balancers to carry out on-site and roadside breakdowns. We offer a full 24 hour service, so if you need new tyres late at night or early in the morning, don't hesitate to contact us on 01904 409 795. 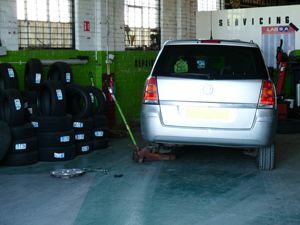 We have Supertracker laser align equipment to re-align all wheels to prevent uneven wear of your tyres. Please pop into Tech Tyres Ltd any time to have your tyres professionally checked for pressure and tread wear free of charge. 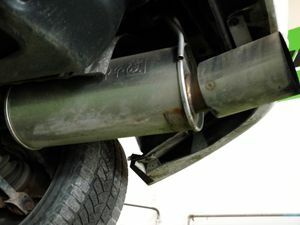 An exhaust system is an important component of your vehicle as it helps to direct noxious gases away from inside the vehicle, as well as making sure that the car is being as fuel efficient as possible by monitoring the levels of oxygen being emitted. Using this information the engine can balance the fuel to air mix of the engine to get it to its optimum level. We can offer an expert exhaust fitting service from small parts to complete exhaust system, while most of the repairs and replacement work can be completed while you wait we do recommend calling us on 01904 409 795 or contact us via our email contact form if you require a quote or further information.